As I was coming home last week (from a lovely little weekend in France, seeing as you ask), I realised I was travelling by train on a Sunday. 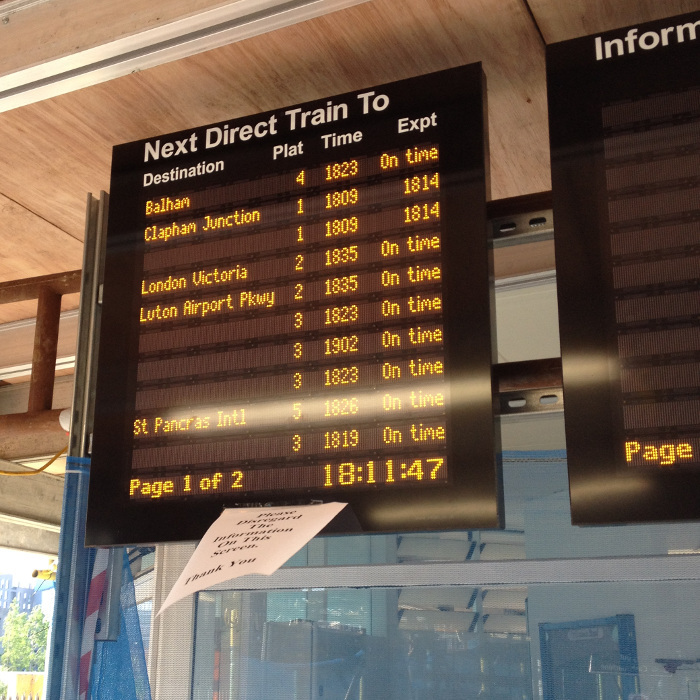 For those of you not familiar with trains in the UK… this is quite definitely ‘not a good thing’. Sundays are when they do all the maintenance work that can’t be done during the week. Anyway, on Sunday I didn’t have any major problems. Sometimes ignorance is bliss, and I glided through it all and it didn’t really take any longer than usual. But I did take great joy in seeing this little sign tacked to the train arrival monitors. 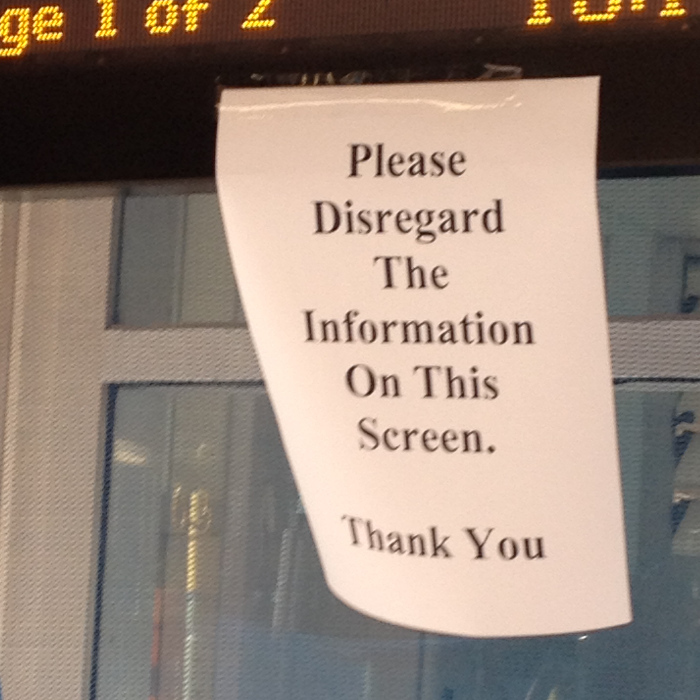 How often angry commuters have known, just deep down known that the screen was lying to them. And yet still hoped the information might be accurate. And here they’re openly admitting it’s just wrong. And on top of that, there’s the whole Magritte like ‘this is not a pipe’ element to it all. Fabulous.